Search for Soldier within Personnel. Add New Service Record Entry. Results are displayed by most recent submission first. You can sort by other methods using the table column headers, can filter by request status, and can search by soldier name. To manage the request, use the Approve, Deny, Hold, View Details, Delete functions on the right side of the table. 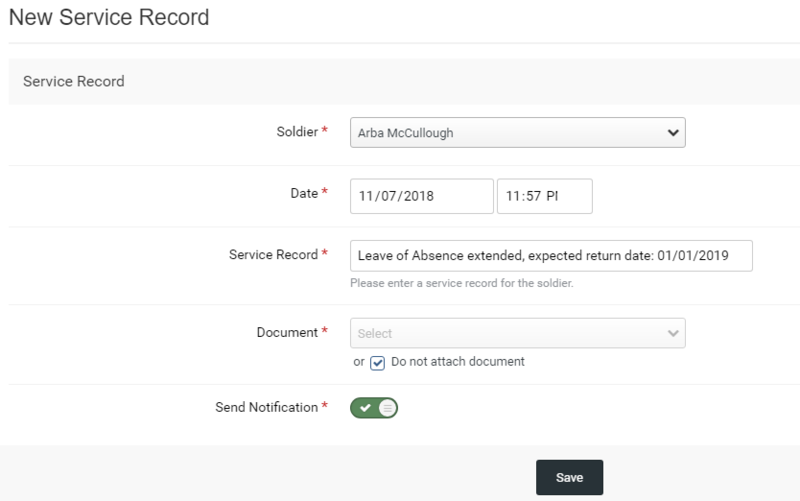 When processing a Leave of Absence, click View Details and take note of the expected return date if this request will be approved. Deny - If denying a request, add a note with an explanation. Do not attach document. Hold- If placing on hold, add a note with an explanation. Do not attach document. Delete - There will be an additional confirmation step prior to deletion. Do not attach document. Always select for notification to be sent. If you are not approving the request, you are now finished. If approving, continue to step 2. Click the dropdown icon and select New Service Record. Date - Enter the date the request is approved, or the effective date of the LOA. Document - select Do not attach document. 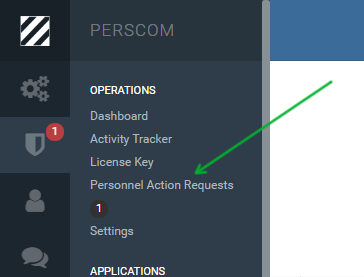 Send Notification - This is not necessary as a notification was sent upon approval in step 1. Search for the soldier by name again. 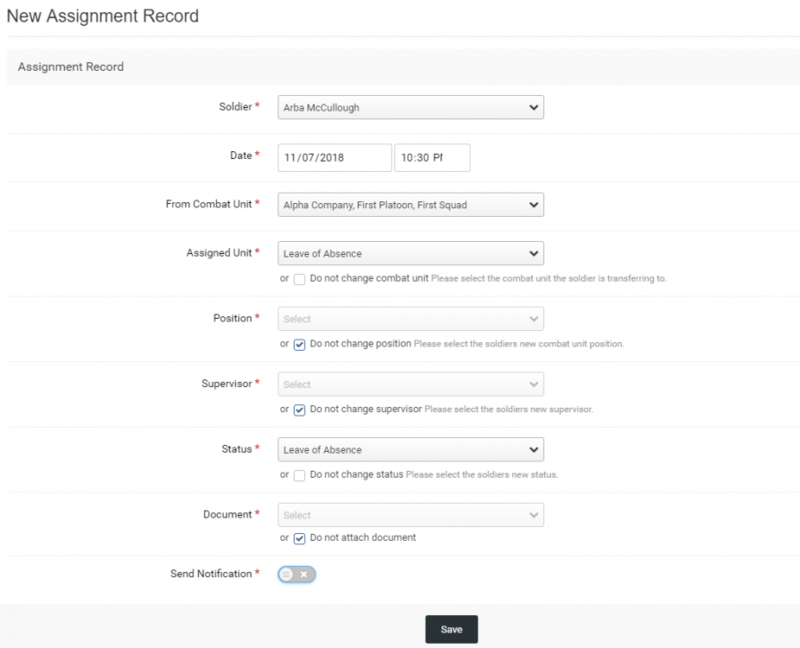 Click the dropdown icon and select New Assignment Record. Assigned Unit - Select Leave of Absence. Position - Do not Change position. Click Save. The soldier now has his LOA approved, has a service record entry reflecting the approval with expected return date, and has been transferred to the LOA combat unit. You are now finished! 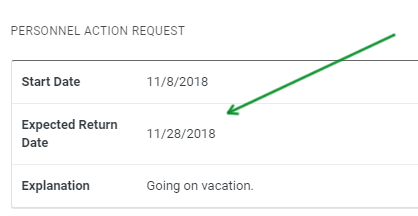 When processing an Extension of Leave of Absence, click View Details and take note of the expected return date if this request will be approved. Approve - Generally no note is needed. Do not attach document. 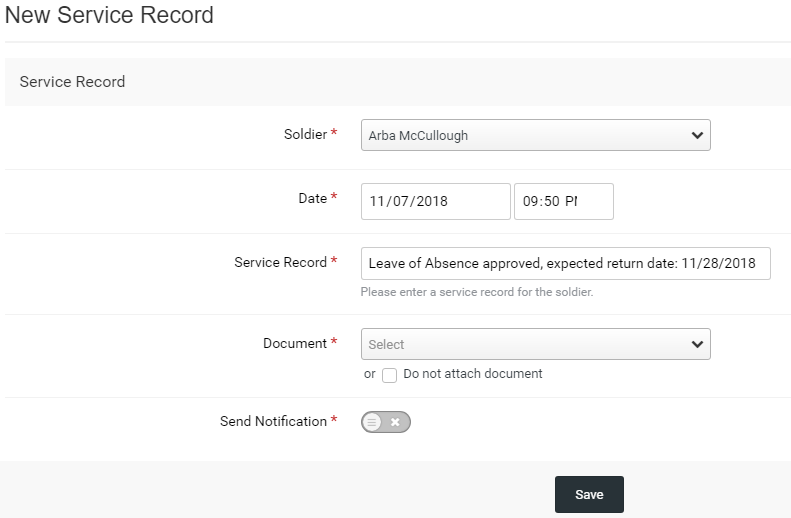 Click Save.The soldier now has his LOA extended and has a service record entry reflecting the extended approval with expected return date. You are now finished! Date - Enter the date the request is approved, or the effective date of the Return from LOA. Service Record: Use the following format - Returned from Leave of Absence. Date - Enter the effective date of the return from LOA. From Combat Unit. This is pre-selected, change to Leave of Absence. Status - Select Active Duty. 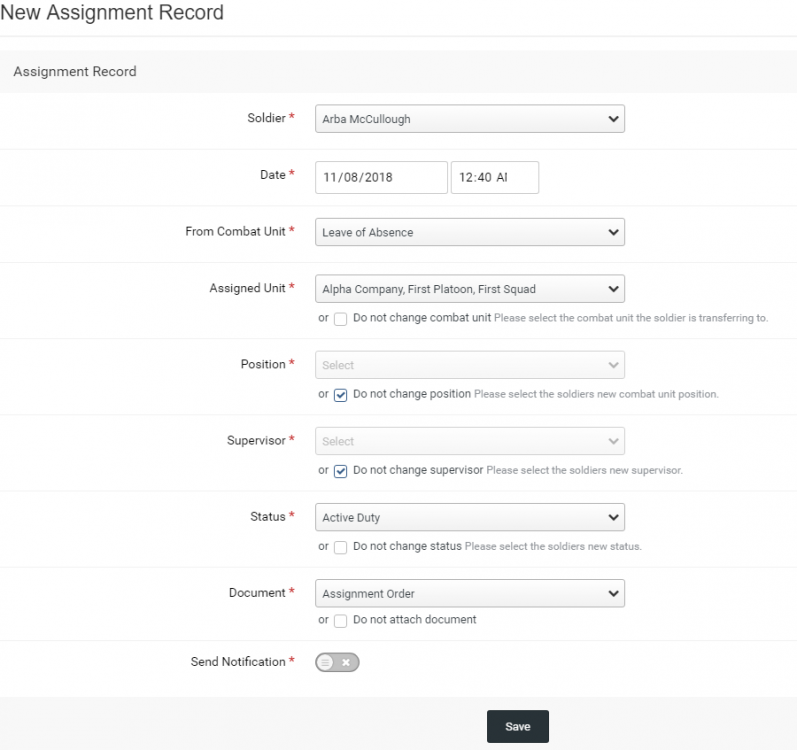 Document - Select Assignment Order. Click Save. The soldier now has his Return from LOA approved, has a service record entry reflecting the return from LOA, and has been transferred to from the LOA combat unit to their active combat unit. You are now finished!